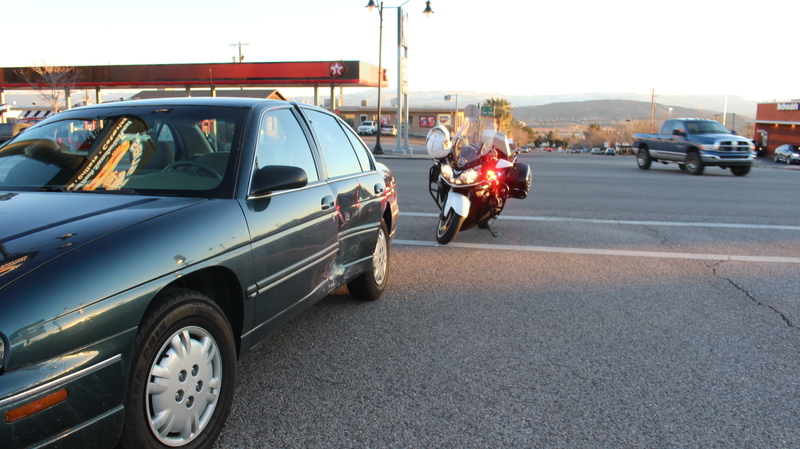 ST. GEORGE — A collision sent one car into a median after another driver failed to yield before entering the roadway Friday evening. St. George Police responded to a report of a crash on St. George Boulevard at approximately 5:15 p.m.
A man in his 20s was driving a red Honda Accord westbound on St. George Boulevard just west of where it intersects with 900 East when the driver of a blue Chevrolet Lumina, a man in his 80s, attempted to turn right from a restaurant parking lot, St. George Police Officer David McDaniel said. “This blue Lumina was leaving KFC and he made a wide turn and collided with the Honda, putting the Honda onto the center barrier,” McDaniel said. Though no injuries were reported, medical personnel did arrive on scene to examine the driver of the Chevrolet, who refused treatment, McDaniel said. Both drivers were able to move the cars out of traffic not long after the incident initially occurred, leaving traffic mostly unimpeded. “The Chevy driver received a citation for failure to yield before entering or crossing a roadway,” the officer said. The Honda sustained some damage to its passenger side, while the Chevrolet sustained a large dent in its back driver side door where it met the Honda. 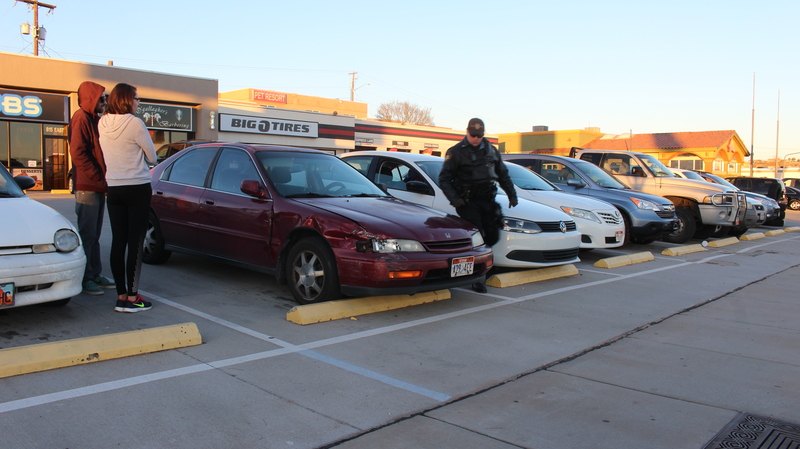 Neither car was immediately towed, but the Honda remained in an adjacent business parking lot awaiting a tow truck. Gold Cross Ambulance also responded to the scene.